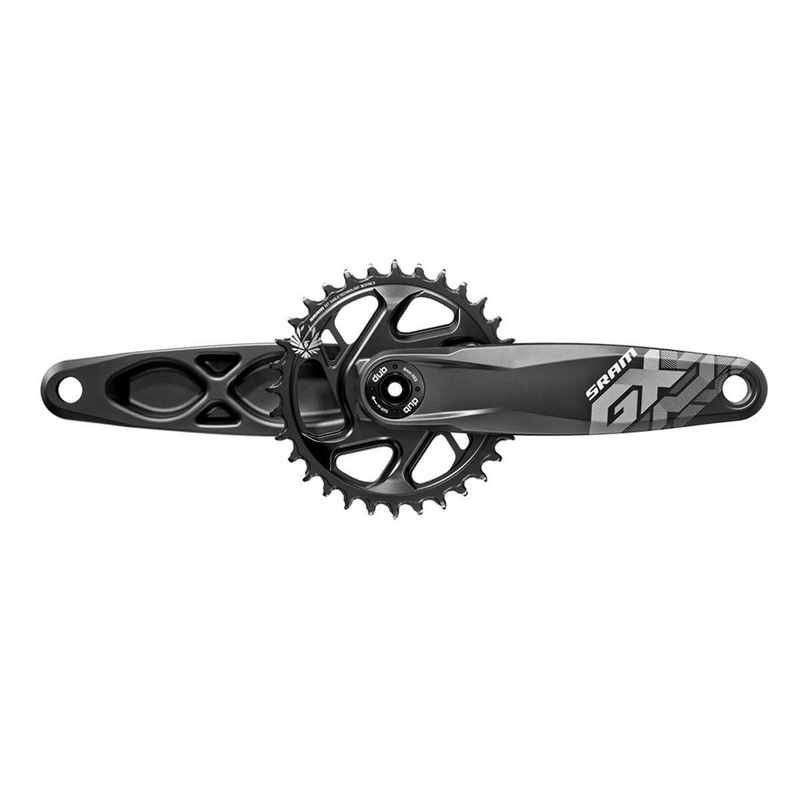 The SRAM GX Eagle™ crankset delivers consistent performance every time out. Featuring SRAM’s X-SYNC™2 tooth profile chainring, the GX crankset is engineered for complete chain control. Each tooth’s thickness is precisely toleranced and controlled to work seamlessly with the chain’s inner and outer links. DUB™ technology features a better-engineered bottom bracket and a new spindle design. Together, these allow for a more uniform approach to bottom bracket fitment, better sealing against contamination and forward and backward compatibility. Now everyone can benefit from a new measure of durability.